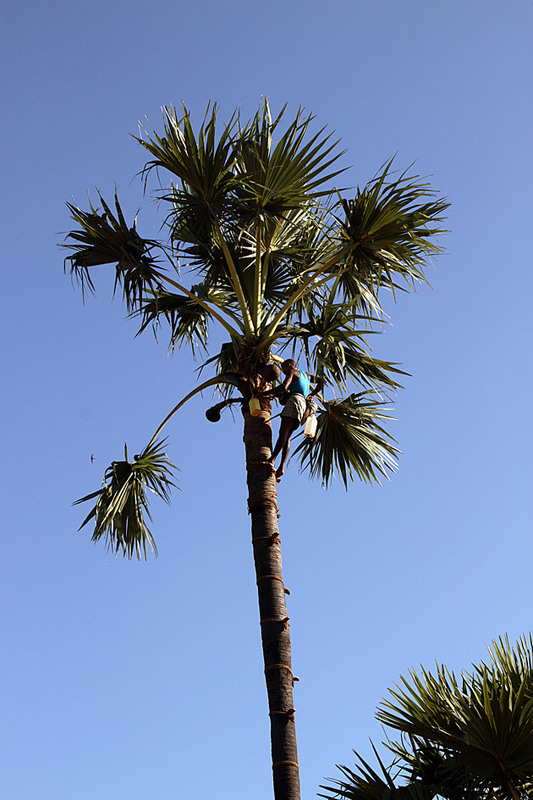 We had seen toddy tappers at work a few times, high up in the palm trees around Jaffna and Trincomalee, collecting the liquid of coconut flowers into plastic jugs. The toddy can later can be distilled into arrack, but is one of the country’s favorite drinks even in its unprocessed state. 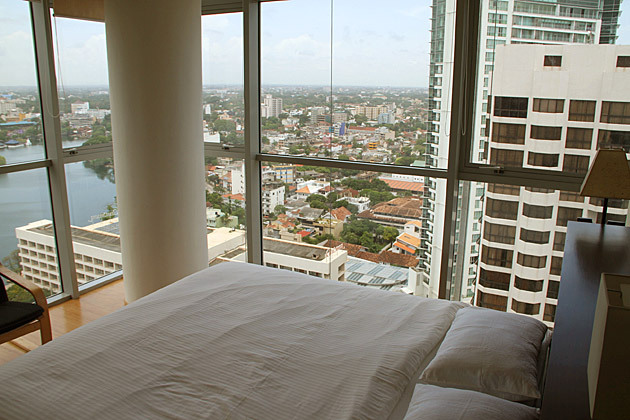 And for nearly three months, we had traveled throughout Sri Lanka without ever trying it. We were being derelict! The toddy is non-alcoholic when first tapped, but ferments quickly and must be drunk on the same day (and is at its best in the morning). Plus, you can only find it in local “toddy taverns”. All of this makes landing a bottle a tricky prospect for tourists. We ended up having to talk a local into hunting some down for us. Our toddy had been poured into an old water bottle, looked like cloudy urine and tasted like cider, but somehow yeasty. Or cheesy. Yes, it tasted like liquidy, yeasty cheese cider. It’s a common sensation to feel the still-active toddy fermenting inside your belly. I’m not sure whether that’s what was happening to me, but I definitely felt something going on down there, hours after we had stopped drinking. 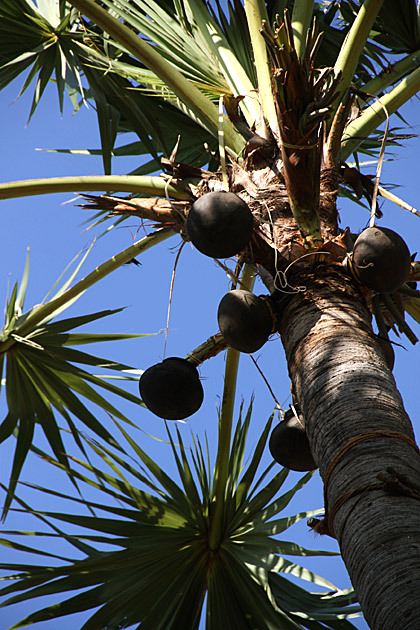 Apparently, the best toddy comes from the north, where it’s culled from the spiky Palmyra palm trees. Maybe that would have been better, but I can’t imagine that any toddy is going to find its way into my list of favorite drinks. It was still fun to try, but anyone with a sensitive stomach will want to stay far away. 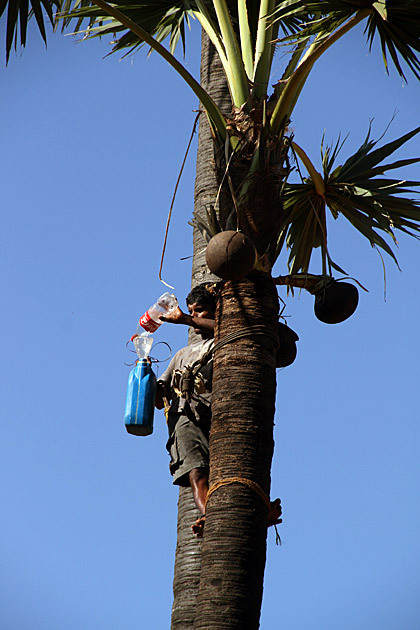 Tap that Toddy We had seen toddy tappers at work a few times, high up in the palm trees around Jaffna and Trincomalee, collecting the liquid of coconut flowers into plastic jugs. 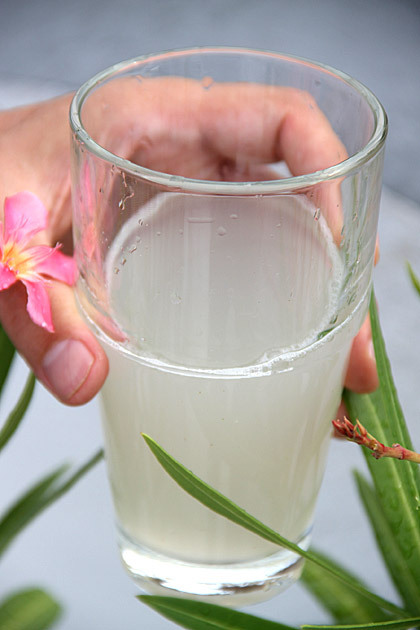 The toddy can later can be distilled into arrack, but is one of the country's favorite drinks even in its unprocessed state. 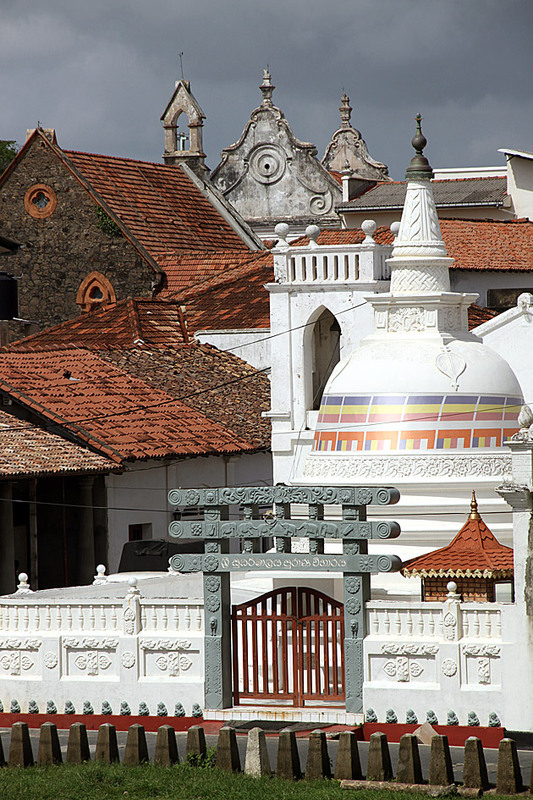 And for nearly three months, we had traveled throughout Sri Lanka without ever trying it. We were being derelict! You should have been tried as soon as it’s been taken from the tree. It is nutritious- drink. And you can find coconut toddy ,very common in the country.Best nutritious toddy you can find from “Kitul” tree..The botanical name of the tree is Caryota urens, and the tree belongs to the family of Palmae.